Road Trips are always fun! Join the Fab Four for thier bachelorette road trip from Delhi to Thailand. The first episode of ‘The Trip’ was just aired yesterday on Disney India’s youth entertainment channel Bindass and it promised us a fun and adventurous trip to Thailand. Roads trips are always fun, especially when you plan it with your best friends. You are always carefree and real with your loved ones and as you get busy with your life, these kind of trips makes you reconnect with yourself and have a gala time. This series revolves around four friends who set out on a crazy bachelorette road trip from Delhi to Thailand. 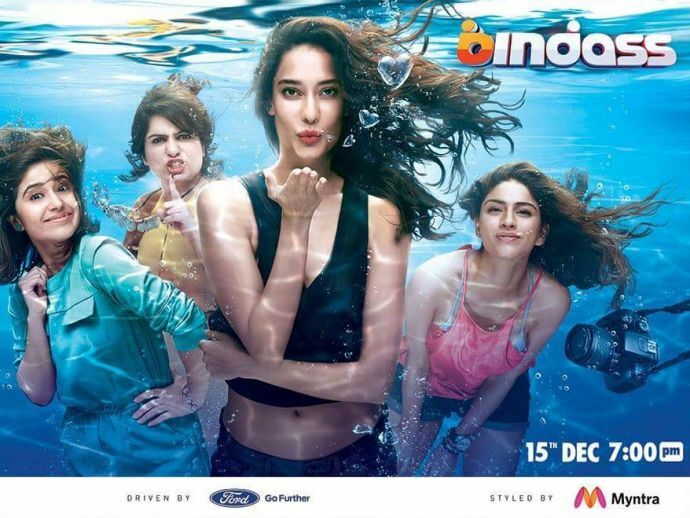 The series features Lisa Haydon as Shonali, Sapna Pabbi as Sanjana, Mallika Dua as Nazia and Shweta Tripathi as Ananya.